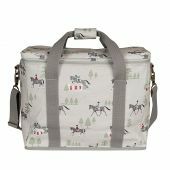 Spacious enough to carry a picnic for the whole family, this extra-large picnic bag is packed with thick thermal insulation to keep food and drink cool and fresh for hours. 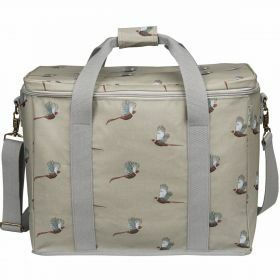 The bag is made from practical matt oilcloth and covered in Sophie Allport's magnificent pheasant design on a stone green background. 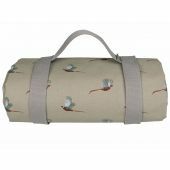 Sturdy woven cotton handles, adjustable shoulder strap. Handy netted pocket on the inside lid, dual zip fastening, waterproof inner white lining. Wipe clean. 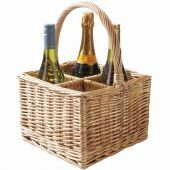 25 litre capacity.Size: L: 16" x H: 12.8" x W: 7.6" (40.6cm x 32.5cm x 19.3cm).